The tripod Turnstile offers a compact and economical solution combining low power consumption and high reliability. From standard versions to customized versions, our Tripod Turnstiles are suitable for entry and exit Access Control using our controller ranges: proximity, fingerprint or code. Designed to integrate a recess for any kind of controller: proximity card, fingerprint or code. Allows access to only one person. Locks automatically after each pass. 1. Rainproof housing, #304 stainless steel. 2. CNC stamping and laser drilling, presenting a novel and elegant appearance. 3. Innovative and unique mounting surface ensures simple and convenient installation for system integrators. 4. Direction can be set as single-direction or bi-direction. 7. Automatic reset function. Should the user fail to pass within the prescribed time (default time is 5 seconds), the system will cancel the authority of the current user automatically. 8. Arms auto drop when power off, complying with fire safety requirements. Looking for ideal Tripod Turnstile Door Manufacturer & supplier ? We have a wide selection at great prices to help you get creative. All the Tripod Turnstile System are quality guaranteed. 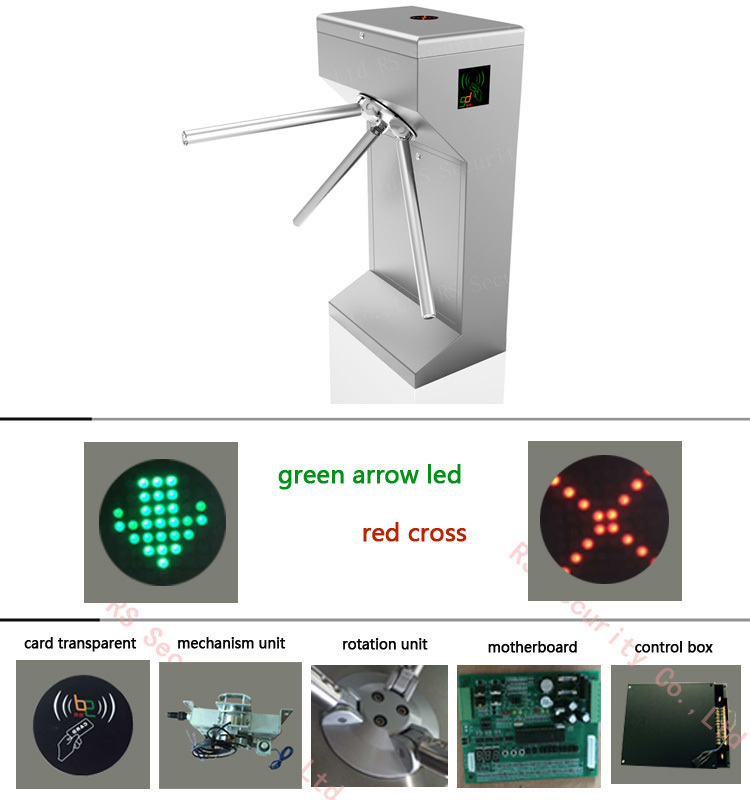 We are China Origin Factory of Tripod Turnstile Company. If you have any question, please feel free to contact us.